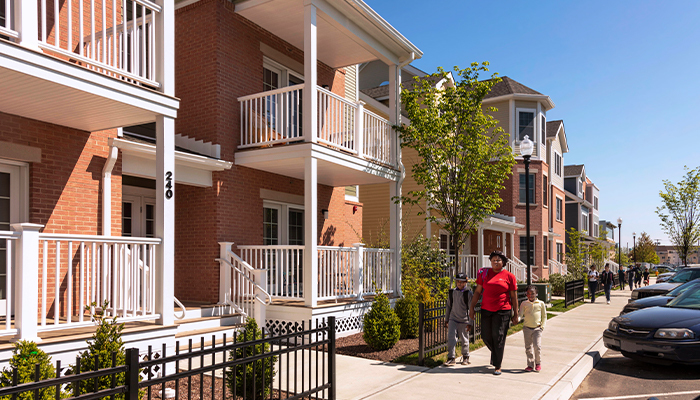 Bridgeport’s $60 million Crescent Crossing community is a testament to beautification and revitalization in public housing. 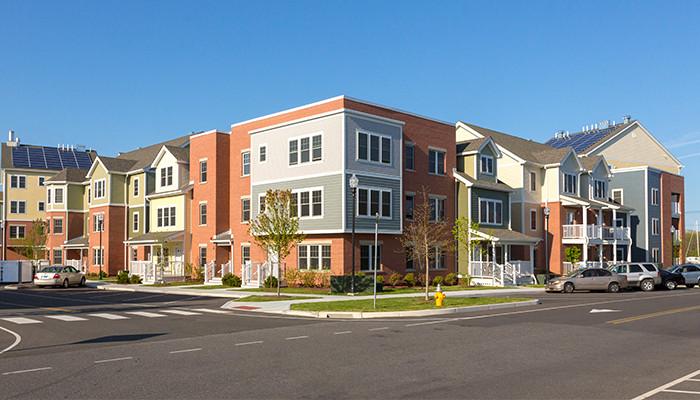 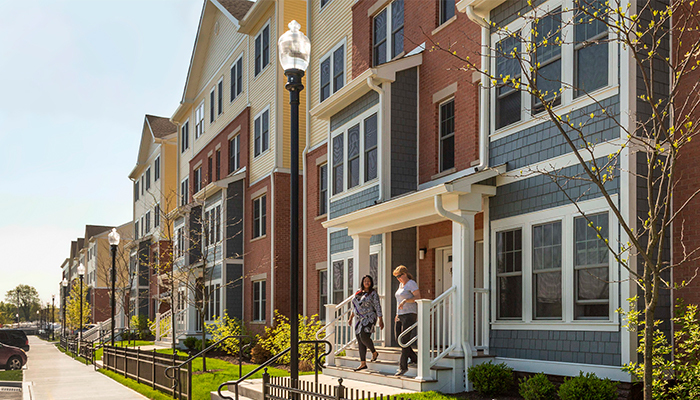 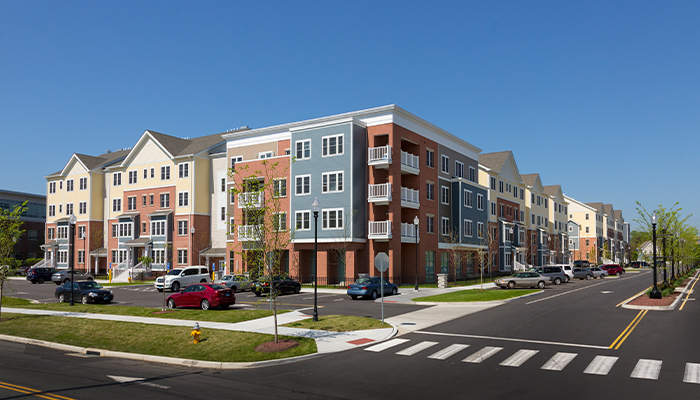 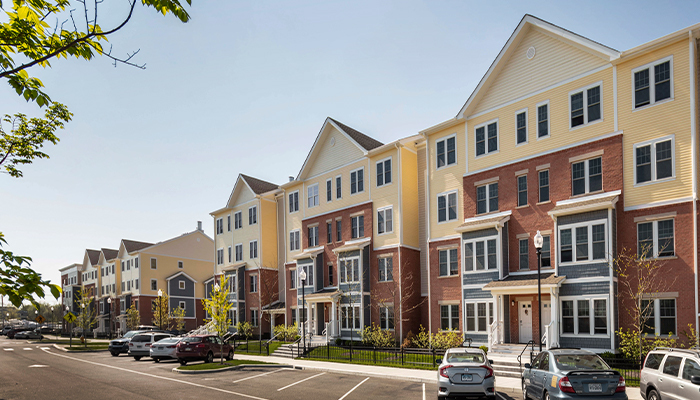 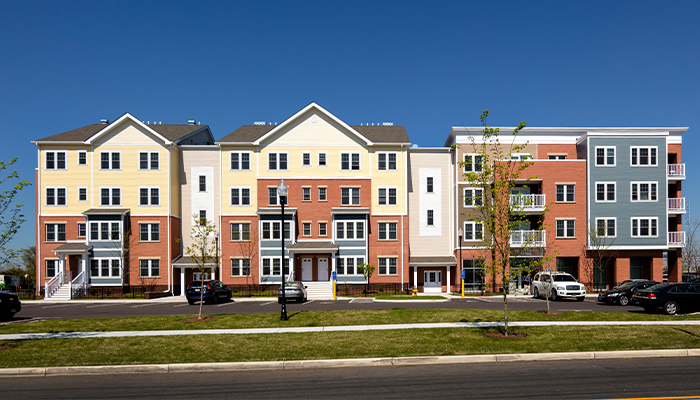 Viking Construction served as general contractor on the 3.5-acre redevelopment project which was built on the site of the very first public housing complex in Connecticut, Father Panik Village (originally built in 1943 as Yellow Mill Village). 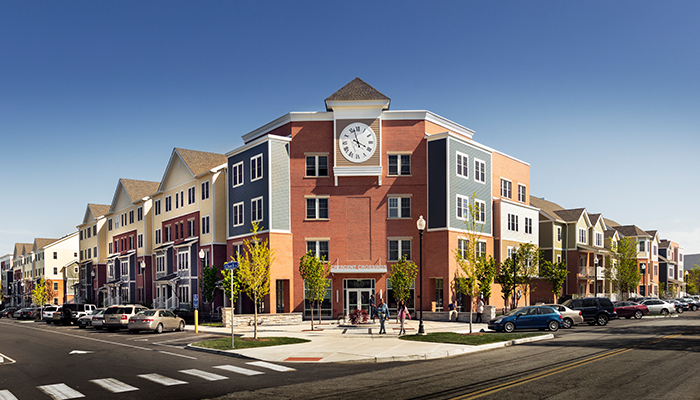 The new community includes 177 mixed-income one-, two- and three-bedroom units, beautiful veneer brick and hardy board exteriors, designer interiors, landscaped grounds, and a clock tower overlooking a corner entrance. 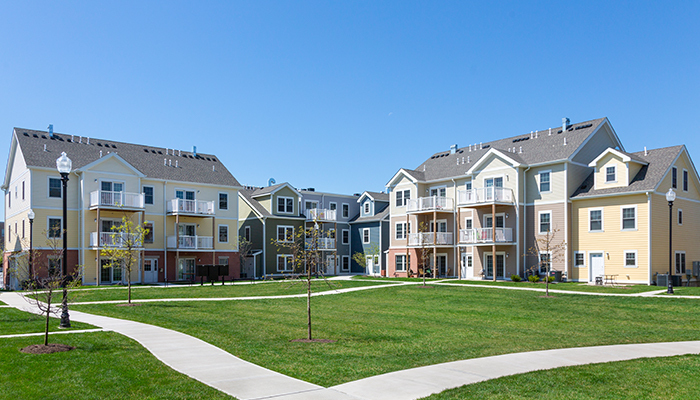 Several efficient and environmentally friendly elements include lighting, windows, insulation, individually controlled central heating and air conditioning, ventilation, and low VOC finishes. 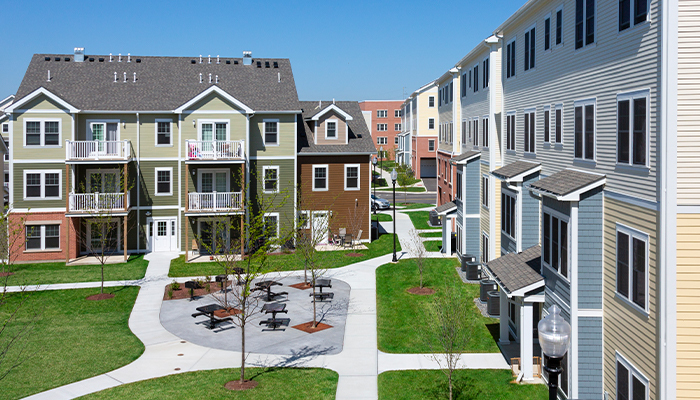 Solar panels were installed on each rooftop to generate electricity that powers common areas and LIFE-safety lighting. 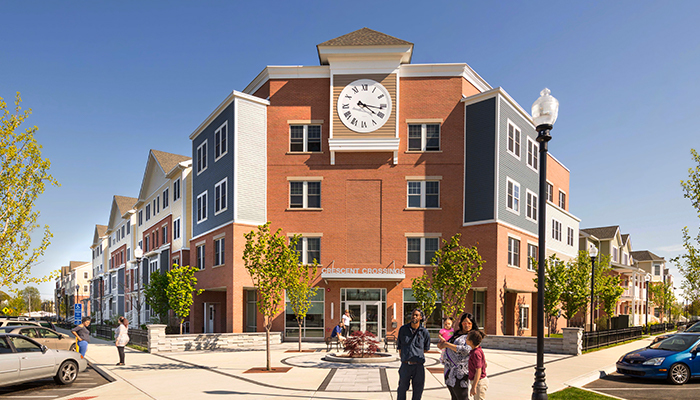 Viking constructed several common areas throughout Crescent Crossing including a resident lounge area with kitchenette and entertainment/media area, a resident business and learning center with internet-enabled computer terminals, a fitness center, and a recycling area.